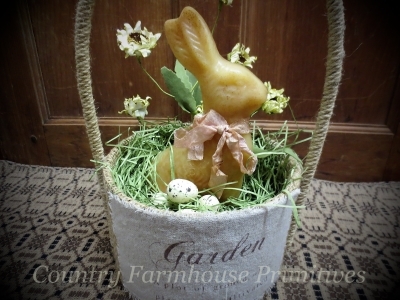 The 4.5'' wax basket holds a beautiful assortment of dried flowers & sweet annie with a little cream colored rabbit. Basket measures approx. 4.5''w. x 2''t. 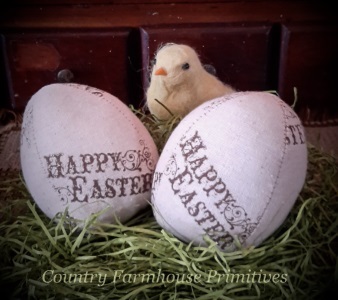 Set of two weighted muslin eggs with "Happy Easter" stamped on the fabric. They measure approx. 3.5'' tall and 2.5'' wide. Imported. 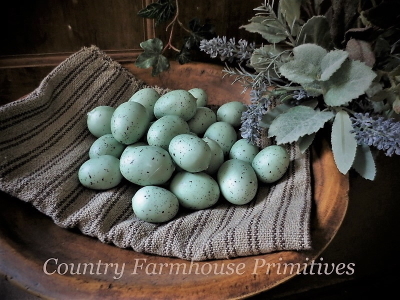 Perfect for adding eggs to your nests & displays or use the whole bunch in a bowl as shown. Bag of (24) 1'' - 1.5'' eggs. Imported. 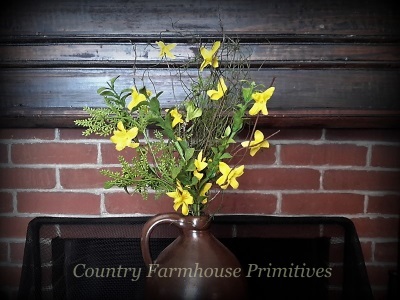 Mixed greenery and forsythia are blended together in this charming seasonal bouquet. 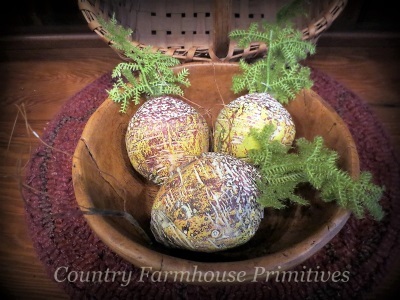 Made from an antique quilt, these 4.5'' x 3'' eggs are arranged in an aged basket with a bit of paper grass. Basket measures 6''x6''x9''. 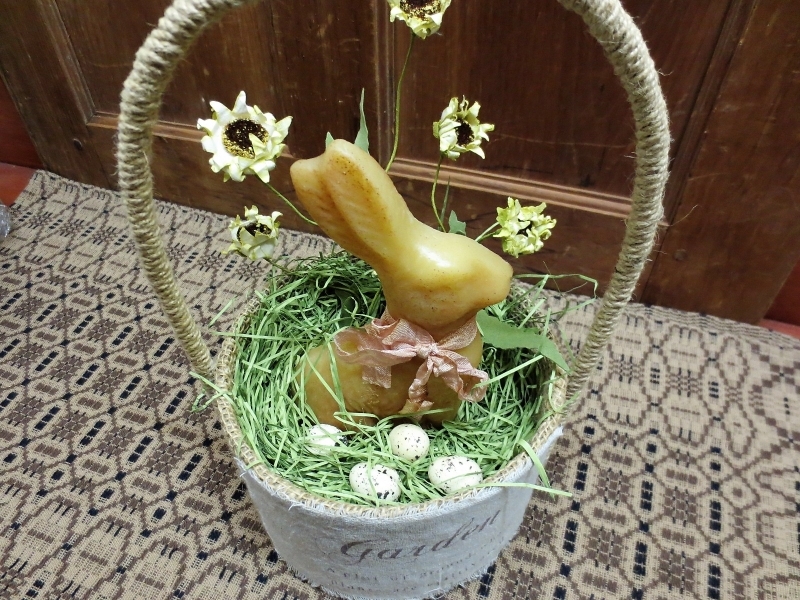 This neat arrangement was made using a burlap garden basket as the container for flowers, paper grass, mini eggs and an old style beeswax rabbit. 11'' x 6.5''. 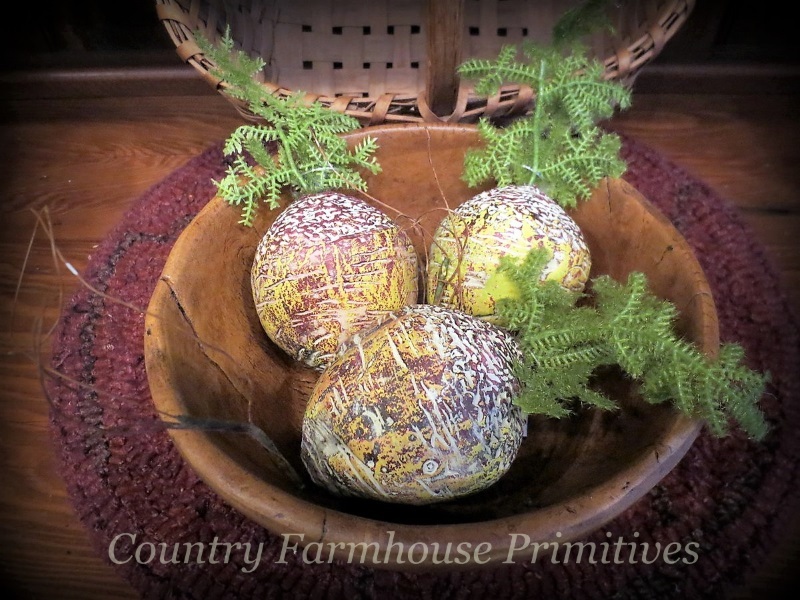 Handpainted eggs in redware designs are arranged in a woven basket with some coverlet fabric and paper grass. 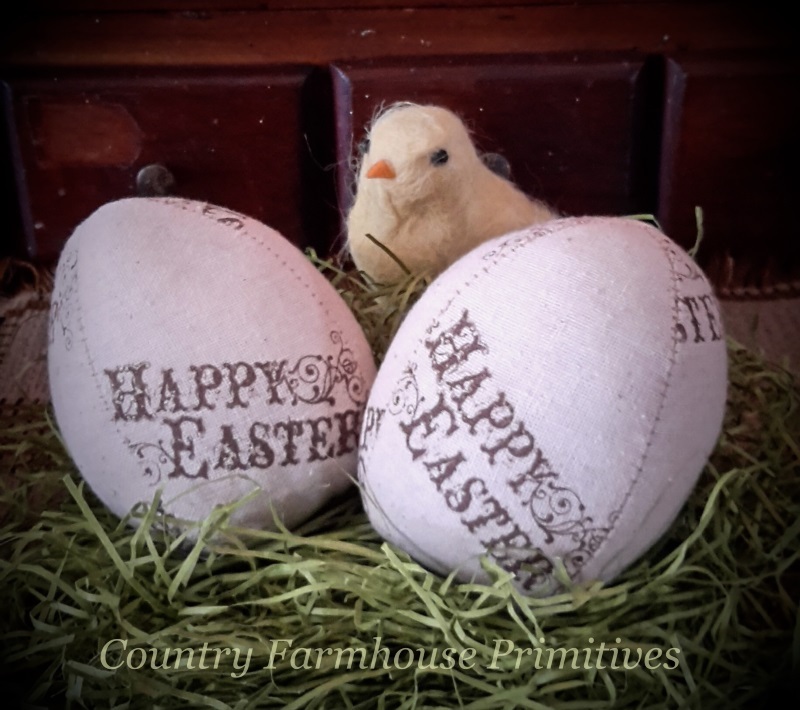 Eggs are 2'' x 1.5'' - 3 plain | 3 decorated - in an 8''x8''x3'' basket. 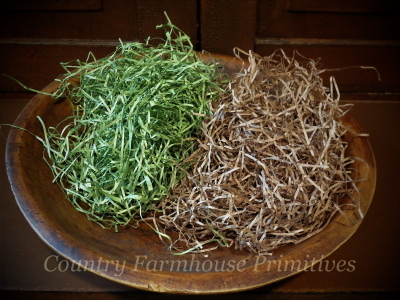 A muslin basket that has been heavily aged and filled with real dried grass. It measures 7'' x 4'' and holds two 2.5'' "goose" eggs. Wire handle. Pretty purple pansies and mixed foliage/herbs on a multi-branching bush ... (1 shown in the pottery jug). 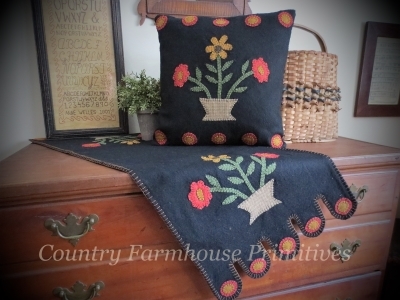 Wool blend applique ... beautiful detail. The runner has the design at both ends. 14'' x 36''. 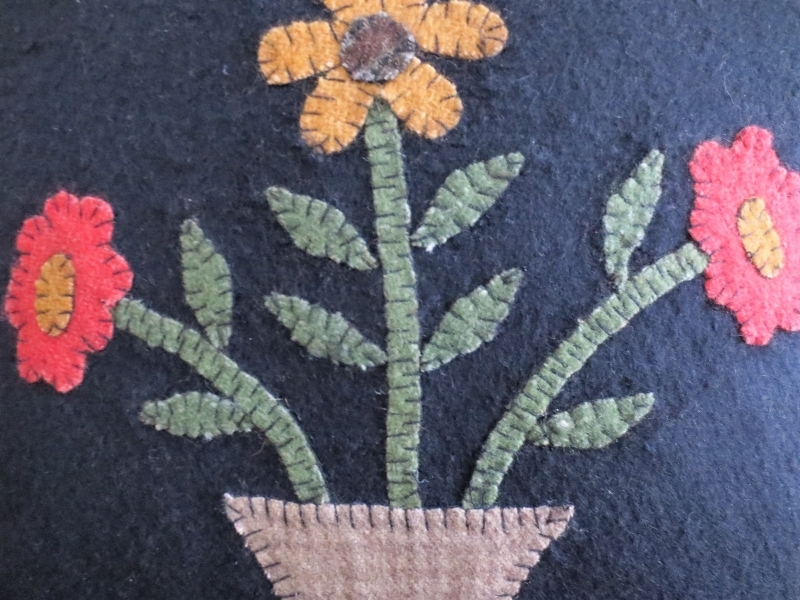 The pillow has back button closure and measures 14''. Imported. 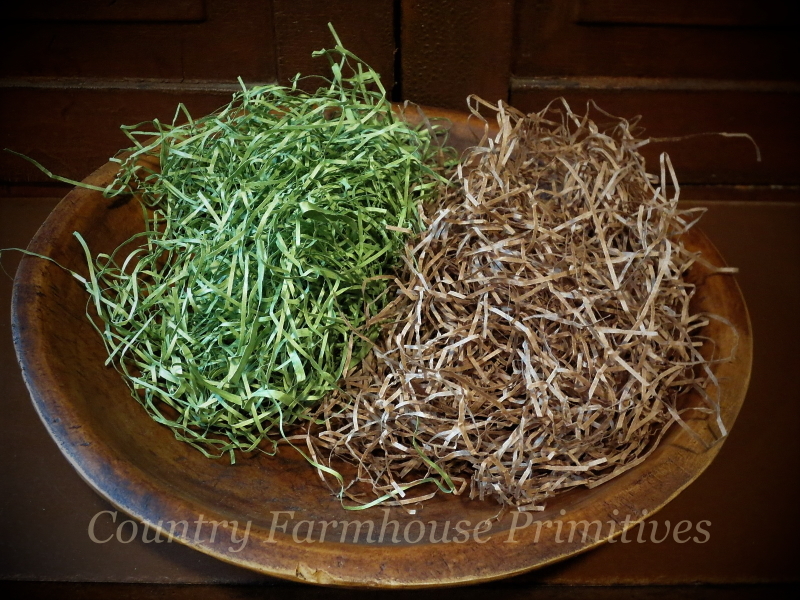 Finely shredded paper for filling bowls, baskets & boxes. 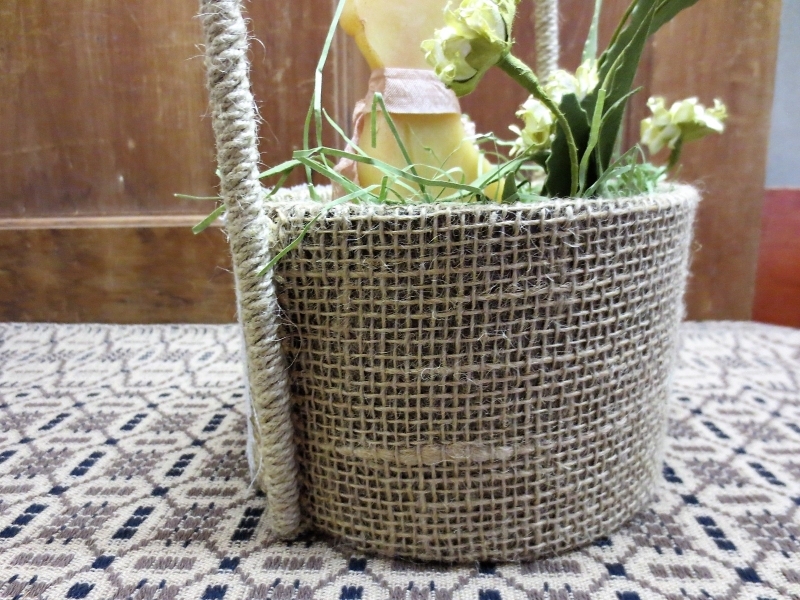 1 gallon bag ... choose from natural kraft or spring green. 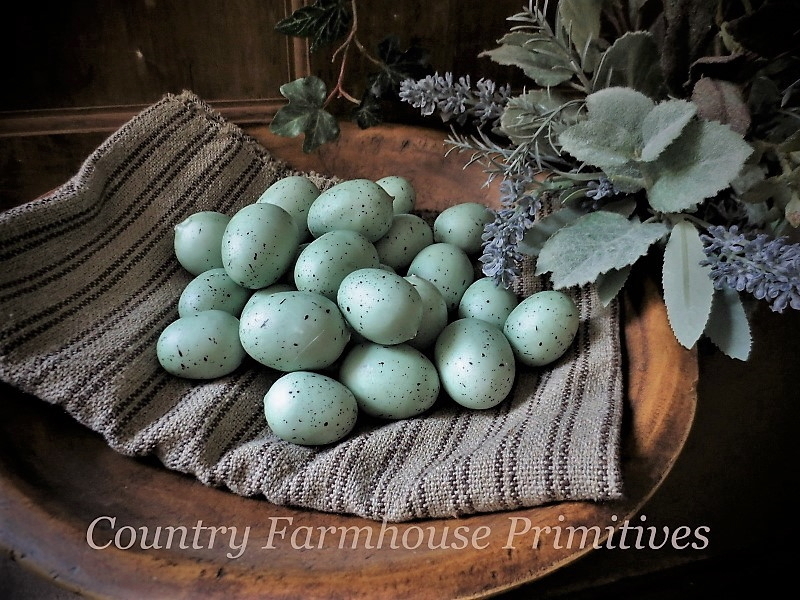 24 tan speckled eggs ranging in size from 1'' to 1.5''. Looks really nice with our green spring grass! Neat looking artificial rutabega|radish|turnip ?? 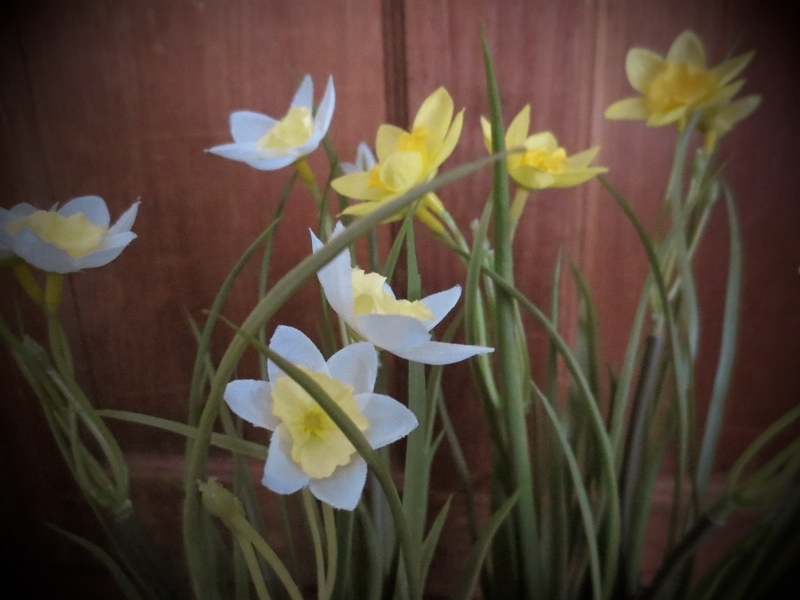 5'' long ... lots of detail and very nice with Spring|Rabbit displays! Set of 3. 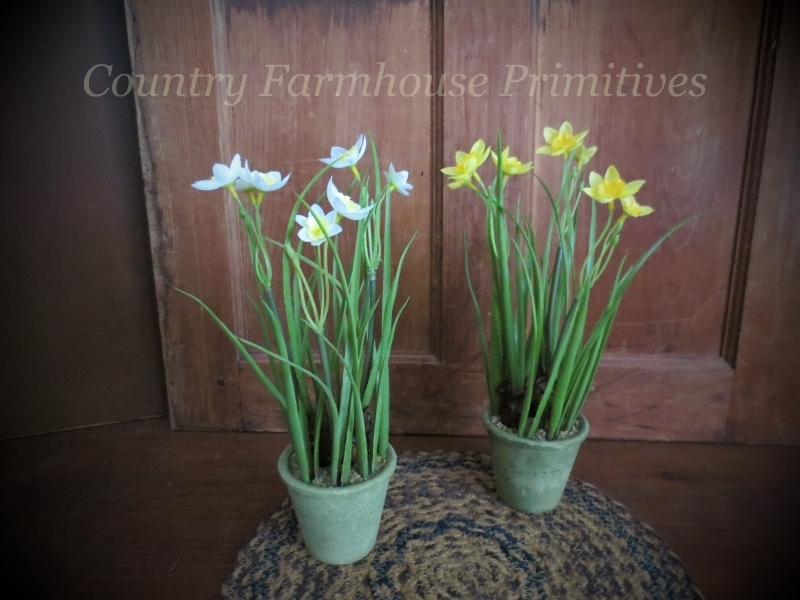 This set of three tiny Easter baskets will find a spot in any of your displays. Great to tuck in with rabbits and pots of flowers. 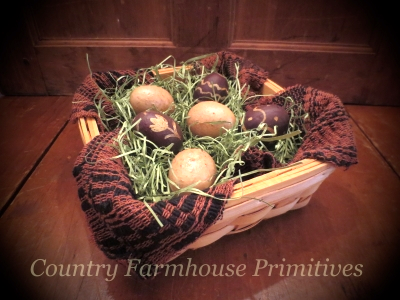 You will get a set of 3 baskets with green paper grass and 9 grungy primitive eggs. Baskets range from 3''-4'' long and are 4'' tall. Pretty artificial daffodils in aged 3'' pots. Choose from White/Lemon or Yellow/Yellow. 12'' tall. Imported. A pair of vintage inspired prints ... nice for spring displays! They each measure 10''x10''. Heavily distressed black frames.